I manage a diverse range of relationships, partnerships and projects for the UK's best known organic body. By supporting businesses across the organic industry, I'm proud to have contributed to growing the UK organic market from -9% to +6% (>£2B) over the last 8 years. Benefiting from more than 15 year of experience in food and textiles, I'm a trusted expert in sustainability, responsible business and organics. A strong communicator and a natural campaigner, I'm passionate about businesses that strive to reduce impact and return value to society and environment. 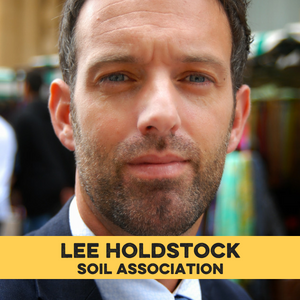 Lee will be chairing our panel on "The power of awards and certifications" in the Shoptalk room on Friday. Get your tickets here.